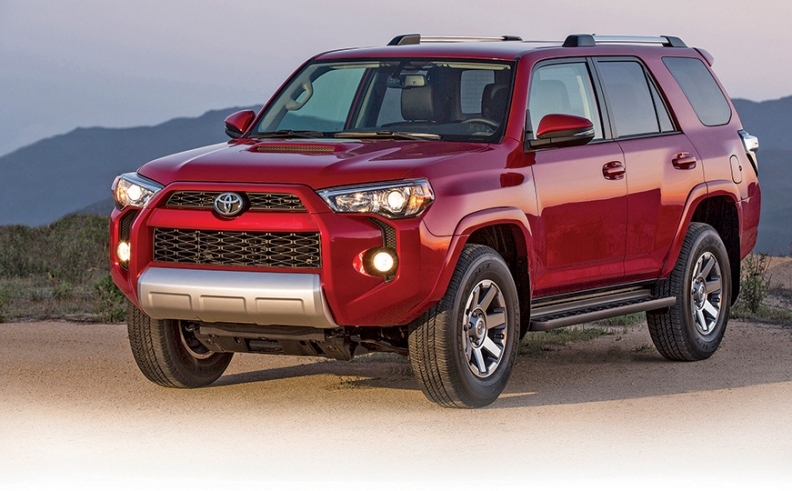 The 4Runner is among four truck-based SUVs Toyota offers in the United States. PITTSBURGH -- Consumers are moving decisively toward car-based crossovers, but Toyota executives say there is sufficient demand to keep selling the company's lineup of four body-on-frame SUVs. Despite some overlap in size among the 4Runner, FJ Cruiser, Sequoia and Land Cruiser, the truck-based SUVs have distinct buyer bases that warrant keeping them in the lineup, said Motoharu Araya, executive chief engineer for Toyota's global truck and SUV lines. Araya declined to give specifics, but he said Toyota is "still go" in terms of consumer demand for continuing a full, truck-based SUV lineup. "There are multiple customers for us," Araya said at a press event here. "Some want to drive off-road, some want to tow with their families, and some want to commute. Towing and durability are very difficult with a monocoque vehicle." Last year, Toyota sold 78,457 units of its four truck-based SUVs in the United States, well short of the 121,055 Highlander car-based crossovers it sold. If there were a candidate for being culled from the lineup, it would be the FJ Cruiser, which was never meant to be more than a one-generation vehicle, said Bill Fay, Toyota Division general manager. The FJ Cruiser, launched in spring 2006, shares underpinnings with the 4Runner but serves a more hard-core off-road buyer. As long as there is demand, Toyota will keep selling the FJ, he said. "They are in different enough markets that they don't get in the way of each other," Fay said. "We've streamlined the process with dealers in how they are distributed. Every month, they give us some volume, and it's not a big drain on time, resources or money." He added: "Clearly, the trend has shifted, but there is still an owner base that is interested in these vehicles."